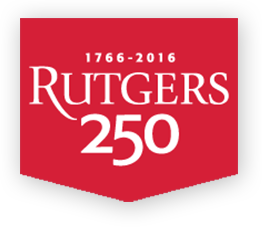 The School of Criminal Justice at Rutgers University-Newark was founded in 1974 by an act of the New Jersey Legislature—the only school in America with this kind of legal charter. Its purposes have always been to (1) produce scholarship of the highest quality on crime and justice (2) provide state and local justice agencies with crucial evidence and consultation about the policy and practice of criminal justice, and (3) produce graduates who take their places as productive and respected scholars in the field. We are, students and faculty alike, scientists who are driven by a passionate concern about problems of crime, public security, and social justice. Our specific interests are as diverse as our backgrounds, our training, and the local environment within which we work. We bring a wide array of rigorous methods and sharply honed theoretical perspectives to tackle important problems that affect peoples’ lives. This leads us to a deep engagement with people, policy-making, citizens, and professional and lay groups, both here and abroad. Our single aim is to have impact: we want to change the way people think about crime and justice as well as the way we do the work of justice. Our job is to be at the leading edge of thought about and intervention into the justice world.